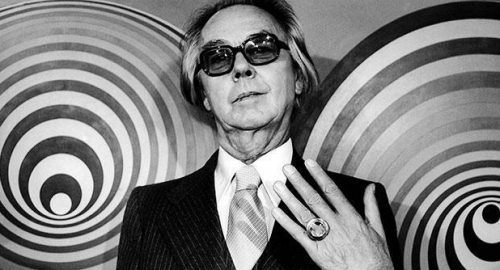 Victor Vasarely provided us with some of the most distinctive images and optical effects in 20th-century art. From his days as a commercial graphic designer in 1930s-40s Paris to his final decades developing and marketing what he hoped would become a new universal language for art and architectural design, Vasarely steered a unique course, combining virtuosic technical precision with a scientific awareness of optical and geometrical effects. He is best known for his grid-like paintings and sculptures of the 1960s onwards, which play with the reader's sense of visual form by creating illusory, flickering effects of depth, perspective, and motion. In making the act of looking at one of their primary subjects, these works speak to a quintessentially modern concern with the difference between what we can see and what is really there. 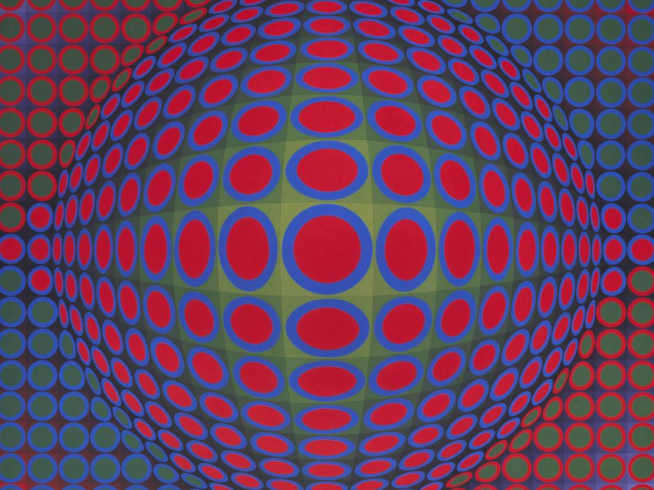 Vasarely was perhaps the first modern artist to realize that Kinetic Art did not have to move. Instead, he created an extraordinary series of paintings and sculptures which used geometrical effects to suggest motion within static forms. From illusions of oscillation and vibration to Escher-like tricks whereby apparent indentations in the picture-surface suddenly seem to protrude from it, Vasarely's pioneering techniques not only influenced the Op Art movement of the 1960s but helped to define the whole psychedelic mood of that decade. As a student of Constructivism, Vasarely believed that art should have a functional purpose within society, an aim he pursued partly by exploring the overlaps between art and architecture. 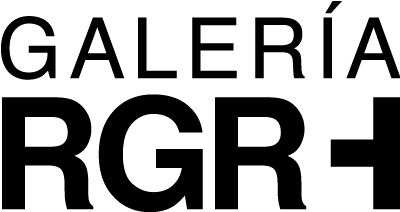 As well as designing murals and other visual features specifically for architectural spaces, Vasarely believed that his visual vocabulary of interchangeable compositional elements could be used in urban planning, as a way of combining qualities of regularity and variety within domestic architecture, street design, and so on. 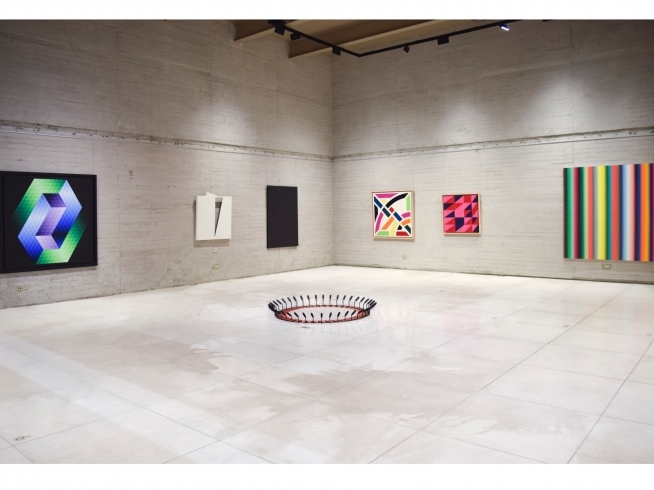 While many artists from the 1910s onwards had considered how modern art and architecture might influence each other, few pursued that idea with such a singular and consistent vision as Vasarely.